A recent news article form The Boston Globe discussed an accident that just occurred in Lexington, Massachusetts. Authorities say the accident occurred on Route 128 in Lexington. Massachusetts State Police investigators have said that the collision occurred early in the morning on a Tuesday when one car was traveling in the wrong direction on Route 128. However, as this is still very early in the investigation, authorities are not yet sure which vehicle was traveling in the wrong direction and was therefore responsible for the accident. The accident occurred just after four in the morning and caused a slow down for what would soon be a very busy morning rush, so emergency crews could respond to the accident and troopers could begin with their investigation as to the cause of this serious Lexington car accident. What authorities do know is that a 20 year old was driving in her 2008 Hyundai Accent and the other driver was 27 years old and driving a 2007 Chevy Cobalt when the crash occurred. First responders were called to scene and provided medical attention to the victims, who were both transported to the Lahey Clinic in Burlington, Massachusetts to be treated for what were described as serious injuries that resulted from the Lexington car crash. Since the troopers were unsure who was responsible for the accident as of this time, they did not issue any citations, nor did they file any criminal charges. They said charges would not be appropriate until they know more about what happened in this serious motor vehicle accident. When a serious accident occurs in the Commonwealth of Massachusetts, especially one that results in death, a Massachusetts State Police motor vehicle accident reconstruction team will normally take a lead role in the investigation and assist local police in determining exactly what happened. Since this accident occurred on a state highway, it was already in the jurisdiction of the Massachusetts State Police. For obvious reasons, it is more difficult to handle a Boston car accident lawsuit when there is question as to whose fault the accident is. 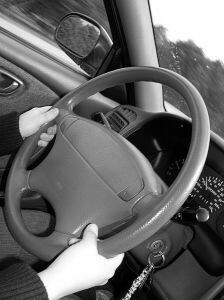 If there is no question as to who is responsible for an accident, it is often known as a clear liability accident. An example of a clear liability accident is when one driver runs into another driver from behind. In this case, the police may even cite the rear driver for the accident if they are called to the scene. In a clear liability case, there is no question as to liability, so the only issue for trial is damages. In other words, we know whose fault the accident is, so the only question is how much money to pay plaintiff. This does not mean that an accident in which fault cannot be determined is not a good case for you to get a full and complete financial recovery, but it does mean that more work will be needed, and you should make sure your accident lawyer has experience proving liability. It also means that you should speak with an attorney as soon as possible, so they can begin conducting an investigation to prove fault as soon as possible.